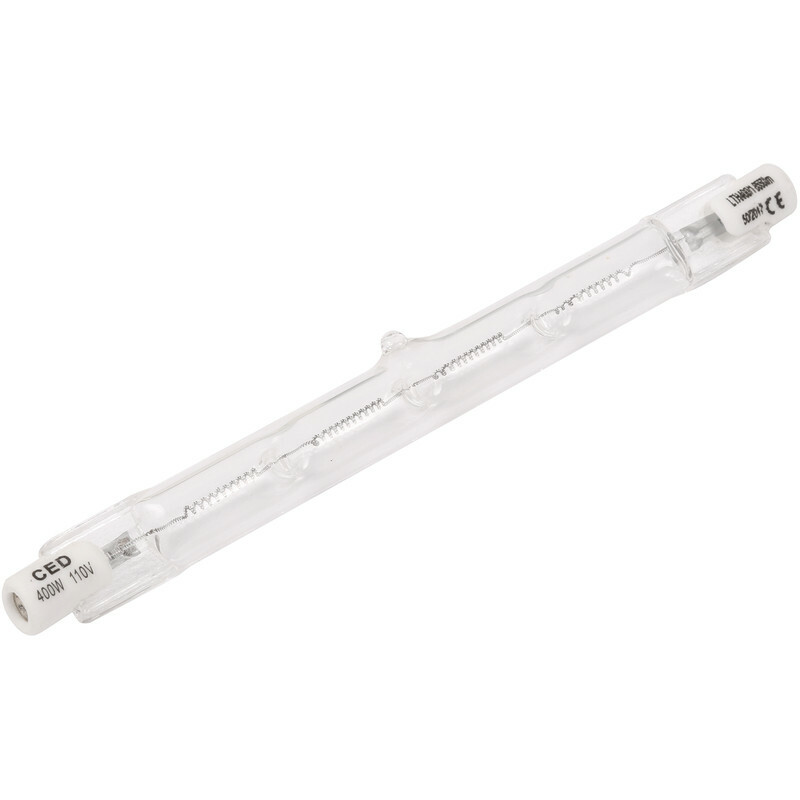 Energy Saving Linear Halogen Lamp 400W 110V 118mm is rated 4.5 out of 5 by 41. Rated 5 out of 5 by Samsue13 from Great Price Great price for this product, works fine in light fitting. Rated 5 out of 5 by pn72 from good value Cheap lamp compared to many, and works well so far. Next day delivery too up to 8pm night before. Rated 5 out of 5 by Dave 9 from Very bright Fitted these in a halogen fitting, great price and very bright. Rated 5 out of 5 by msh52fish from Bought more as spares! Bought these for my work lights, and so cheap bought extras as spares.